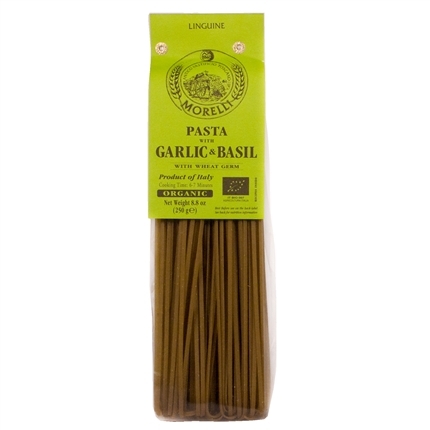 This delicate, herbed linguine delivers subtle basil and garlic flavors without overwhelming the pasta. 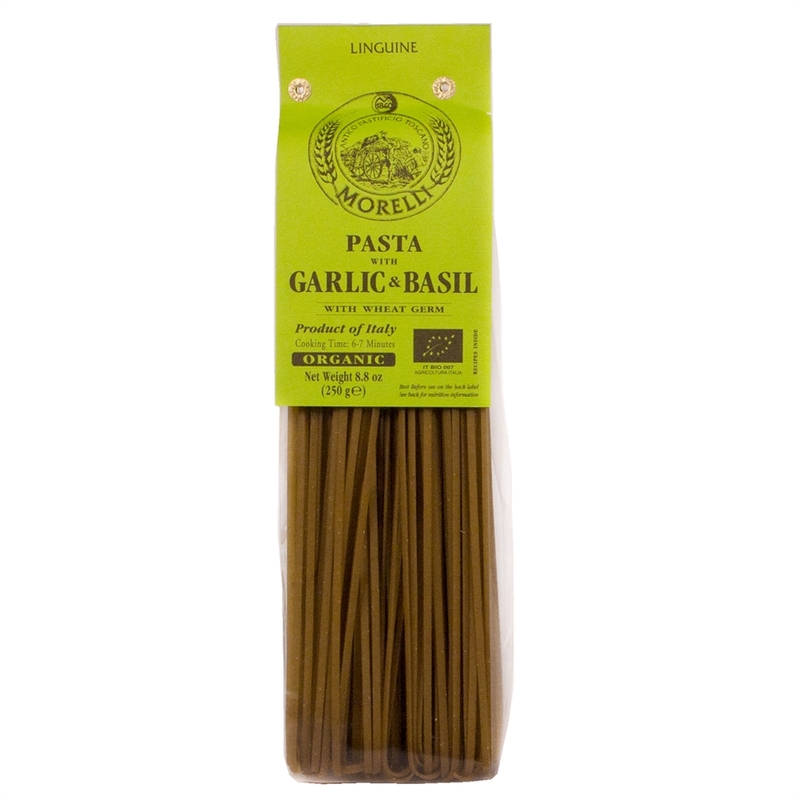 It is produced by the master pasta makers at the Morelli factory in Tuscany, Italy. Added high-fiber wheat germ lend a slightly nutty overtone and boost its nutritional value. Only the finest, local Certified Organic ingredients are used. We love to show off when serve our guests with this flavorful pasta, so we love to serve them simply with extra virgin olive oil, perhaps a sprinkling of Parmigiano-Reggiano. Our classic Italian Dolce Rossano extra virgin is a perfect fit here; some fresh basil leaves and cracked black pepper is all else that is needed. For a lighter, more summery taste, drizzle our Organic Crushed Whole Fruit Lime extra virgin olive oil and add grilled shrimp and fresh basil or simply a jar of our premium pesto there you have it.